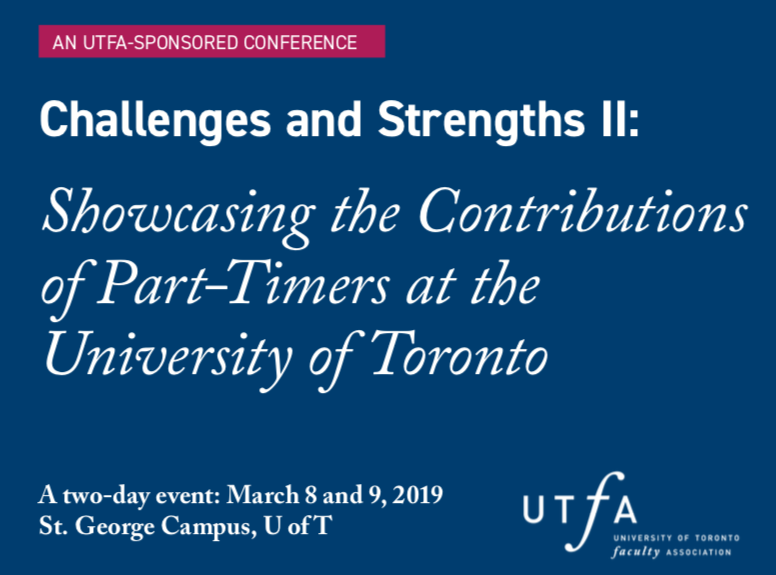 Part-time appointed faculty members and Librarians will present papers on their discipline-based scholarship, creative professional activity, pedagogical research, or pedagogical practice. To attend all or some of these three events, please RSVP to faculty@utfa. org. Let us know which of the 3 events you will be attending: (1) March 8 Speakers’ event; (2) March 8 Reception; (3) March 9 Conference.